2. 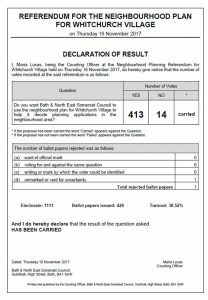 New applications to be included on the register of electors for this referendum must reach the Electoral Registration Officer (address below) no later than Tuesday 31 October 2017. Applications can be made online via www.gov.uk/register-to-vote. 3. New applications to vote by post, or to amend existing postal or proxy arrangements (e.g. cancellations or re-directions) must reach the Electoral Registration Officer (address below) no later than 5pm on Wednesday 1 November 2017. 4. New applications to vote by proxy must reach the Electoral Registration Officer (address below) no later than 5pm on Wednesday 8 November 2017. 5. Applications to vote by proxy on grounds of occupation, service, employment or a medical condition, illness or disability arising after 5pm on Wednesday 8 November must reach the Electoral Registration Officer (address below) by 5pm on Thursday 16 November 2017. 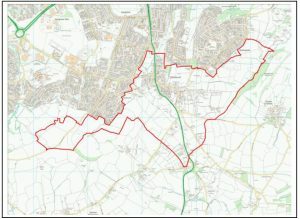 Following the first round of consultation, the Draft Neighbourhood Plan has now been verified as complete by B&NES Council and is available to download. B&NES Council will now start a six week formal consultation from the 19th of May 2017 until the 30th of June 2017. Any additional comments will be passed to an appointed planning inspector who will then decide whether to carry out a public examination.